Not sure whether it is this weather or my naughty habit of late eating jam doughnuts at work, but my skin is just a bit bleurgh right now. I mean the hormonal breakouts I can deal with, and I respect the fact these are not easy to manage, but even so, there is no excuse for skin to look dull and drab. 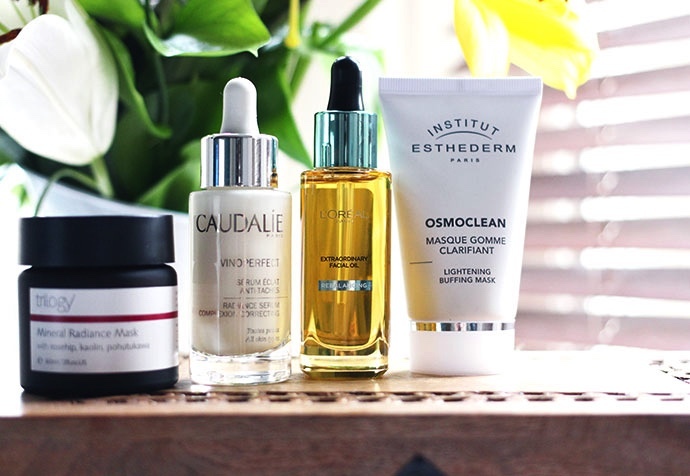 I had a rummage through my mighty skincare stash and picked out a handful of products to help reign the radiance back into my cheeks, breathe some life into my skin. The ones that passed the test are these chaps, a random selection I know. Want to know how they work to get your radiant skin back too? First up, Trilogy Mineral Radiance Mask, this feels extremely nourishing and smells amazing. Packed full of helpful little ingredients such as kaolin clay and rosehip oil, this works on regenerating your skin cells. Giving you that super cleansed, freshly charged skin feeling. I have been doing this on a weekend just to give my skin a pick me up after a long week in work. 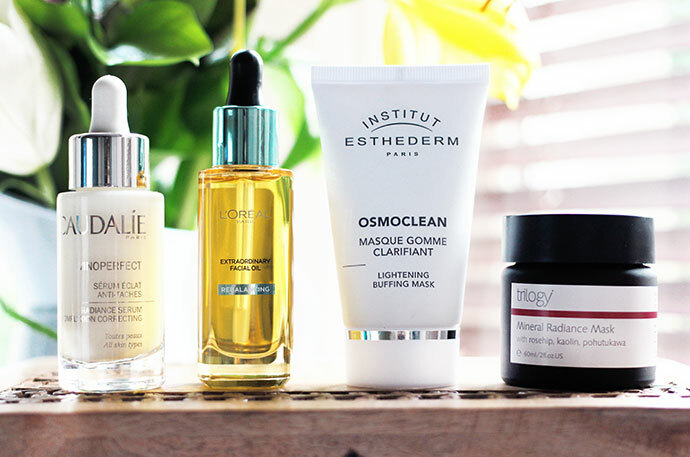 Another mask I really like using is the Institut Esthederm Osmoclean Lightening Buffing Mask. I remember when I first tried this product, it was at an event on the back of my hand and we were shown exactly how to use it. Once I removed this mask, the difference between my two hands was unreal. I had visibly brighter and smoother skin instantly. After that super smooth complexion and a boost of radiance? You will love this mask. Great for all skin types but especially for those with pigmentation spots and uneven skin tones too. It is recommended to use this mask during the Spring, with the shift in weather and seasons, your skin can suffer – treat it well. A serum I have used for years on and off is this wonderful product from Caudalie, the Radiance Serum Complexion Correcting serum. It is so lightweight it feels like water, actually thinking about it, this serum is definitely one of my favourites in terms of the texture. It is one of the brand’s cult products as not only is it great for creating a bright, more even complexion it helps to improve the appearance of acne marks, scars and sunspots too. Definitely one I will packing in my beauty bag to Ibiza for sure. On a budget? 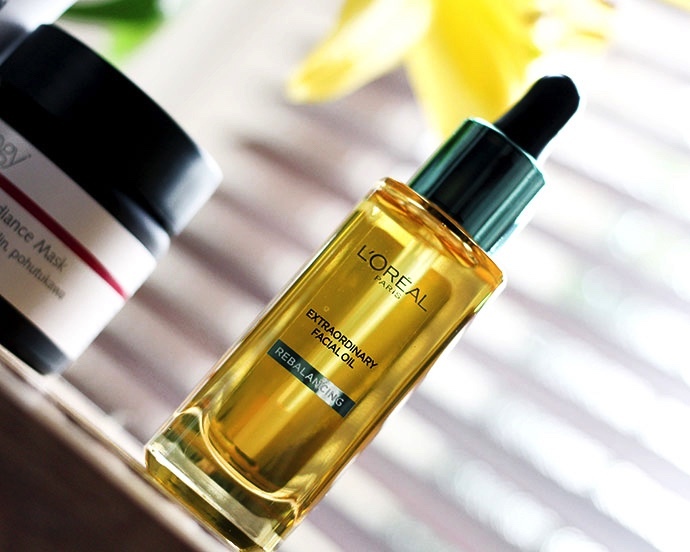 The L’Oreal Paris Extraordinary Facial oil is a nice formula, and looks really luxurious too. It is ideal for oilier skin types as it’s main function is to help rebalance the skin, but I find using this underneath my foundation gives that extra glow to my skin – something an oily skin type might not like. Definitely one to try though if you are looking to get started with facial oils as you can pick this up for £20. 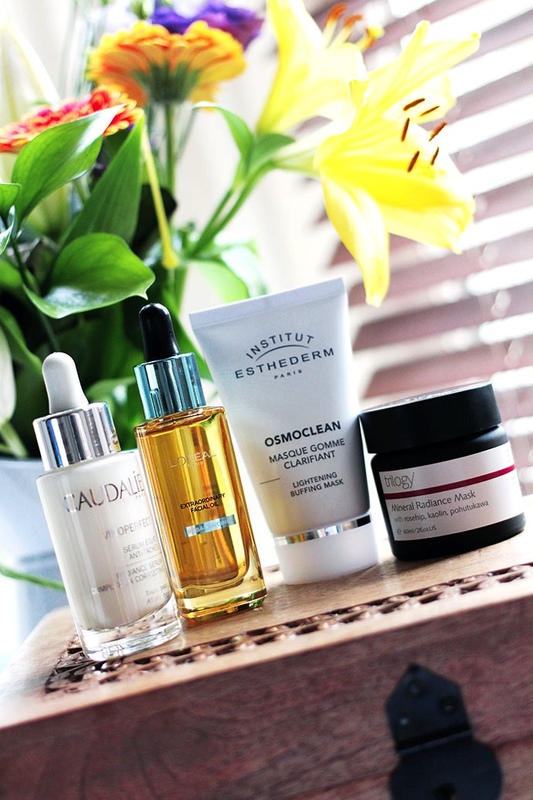 What are your skincare saviours for getting radiance back?